This was one of those concoctions that kinda just came together by accident. I’ve been crushing on these heirloom carrots ever since my mom surprised me with her awesome farmers market find one night when we were making a salad together. The next day I stumbled upon these magical carrots at Traders Joe’s and the rest is history. They’ve been on my weekly shopping list ever since. I always eat them raw chopped up in a salad but tonight I needed something heartier. 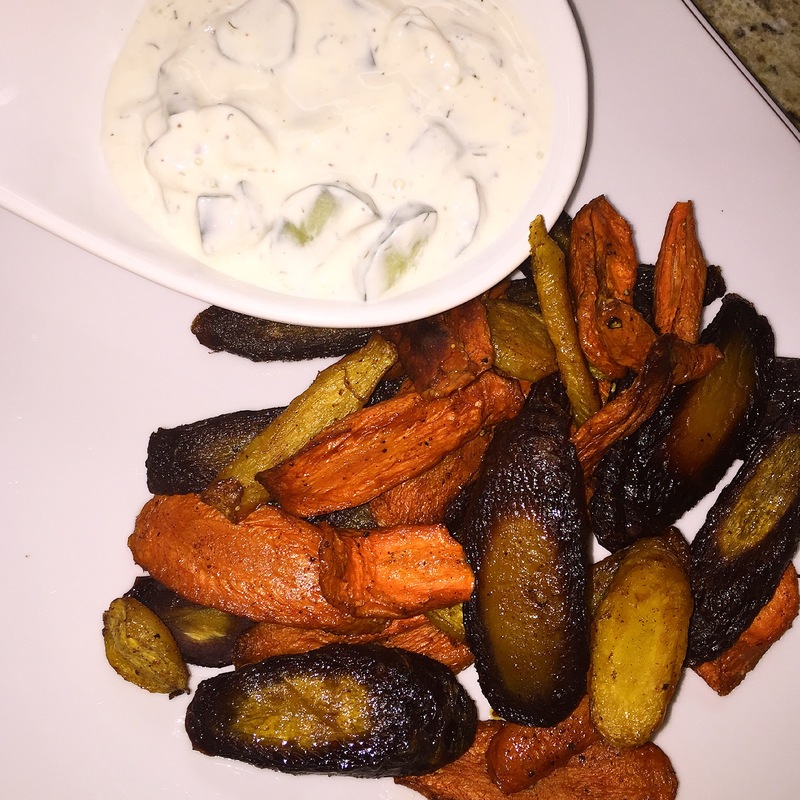 I made the yogurt cucumber dip a few days ago so I went with some Mediterranean flavors for the carrots too. It worked beautifully together! Mix it all together and find a pretty bowl. I think this is my Mediterranean-ish take on french fries and ketchup… I could totally see this as a side dish to some Moroccan fish, perhaps? ?